Boplaas Family Vineyards has emerged as champion of more than Port and the crafting of still wines following the historic success of its whisky at the International Wine and Spirit Competition (IWSC) in London this week. After rigorous assessment by one of the world’s most esteemed panels of judges, Boplaas Whisky rated just under 90 points as “an outstanding example of excellent quality”. Awarded a Silver Outstanding award, Boplaas Whisky topped the rankings alongside renowned brands and industry giants such as South Africa’s home-grown Bain’s Single Grain Whisky. Boplaas also claimed a Silver award – described as “a fine example of excellent quality” among a field of more than 600 gin category entrants – for its revolutionary Pink Gin, the country’s first Port-infused gin released earlier this year. The IWSC is a leading competition of its kind with entries received from nearly 90 countries worldwide that are judged by a network of over 400 global experts. The achievement for Boplaas, situated in the Klein Karoo hamlet of Calitzdorp, is momentous. 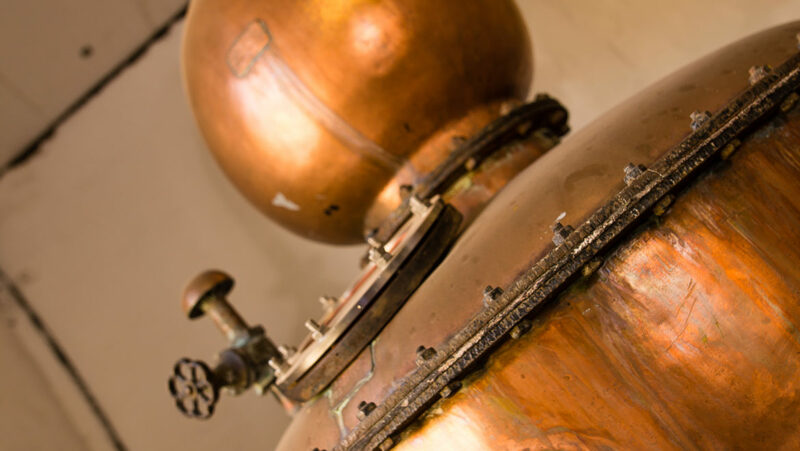 Its distilling heritage began with the making of fine potstill brandy and dates to 1880, with the first order of casks sent to Cape Town harbour by ox-wagon and steam train for delivery to London. 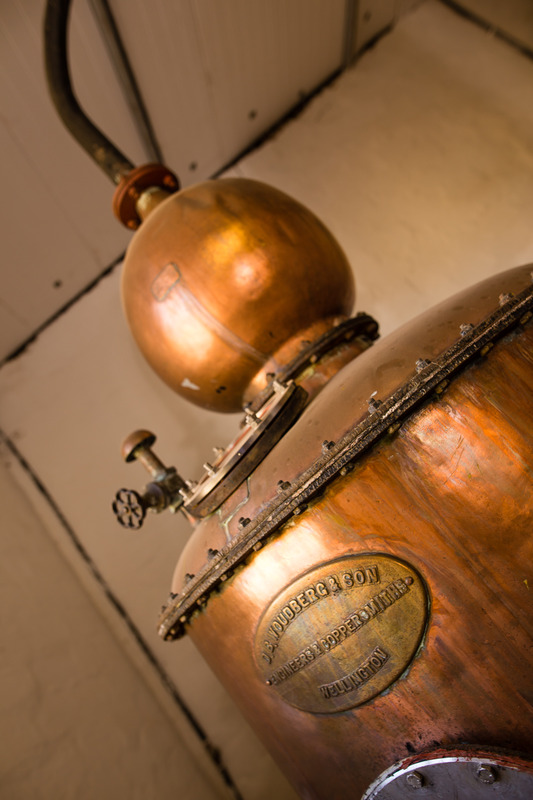 After the repeal of distilling licenses in the early 1920’s, Boplaas’s copper potstill lay dormant for almost 70 years until it was fired up again in 1989. Five years later, Boplaas released the very first estate-certified brandy – Boplaas 5 Year Old – in 1994. Today, brandy production at Boplaas remains truly a craft undertaking with only a few barrels bottled annually. Boplaas Whisky was launched last year. Made from high quality maize, the whisky is aged in former Bourbon barrels before being finished in former brandy barrels. The local climate has served the farm well where Mediterranean grape varieties are concerned, and it is proving itself just as ideal for the maturation of premium quality spirits. The dry climate of the Klein Karoo may mean higher in-barrel evaporation, or “angel’s share”, but in exchange the spirit gains in flavour and aromatic concentration. Always ready to push the envelope, Boplaas recently installed a new still and named it The Falcon – a nod to the nimble indigenous bird and the fastest animal on the planet, as well as the simultaneous launch of Elon Musk’s historic Falcon Heavy, the world’s most powerful rocket. Daniel Nel, son of Boplaas cellarmaster and co-owner Carel Nel, joined the family business in November last year to take on the distillation side of the enterprise. Boplaas fine and rare brandies, internationally award-winning whisky and gins are available from the farm’s cellar door and selected leading retailers across the country. The range is also available from the Boplaas online shop at www.boplaas.co.za. Deliveries in South Africa are free of charge for orders over R1000.